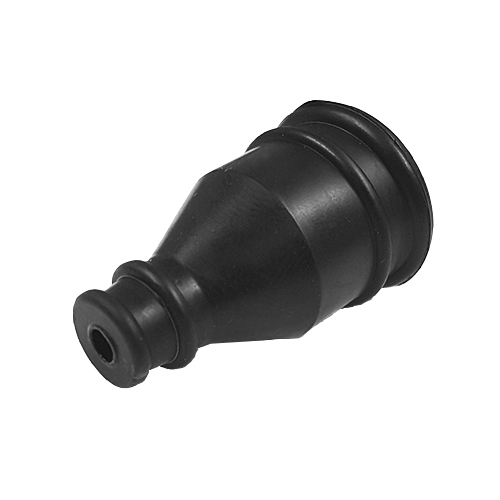 Conduit end sleeves have a variety of applications, including, outlets for single or multiple cables where conduit fittings are not used and flexible couplings for different conduit sizes. Conduit end sleeves have a variety of applications, including, outlets for single or multiple cables where conduit fittings are not used and flexible couplings for different conduit sizes. Made from a polypropylene based elastomer designed primarily for demanding automotive applications. This material exhibits excellent compression set, flex fatigue and high and low temperature performance. Integral cable tie grooves with twin location points to assist fixing to conduit or connector. Internal location lip provides internal protection during cable installation. Multiple cable carrying capacity provides cable breakout facility in situations where sealing is not required.